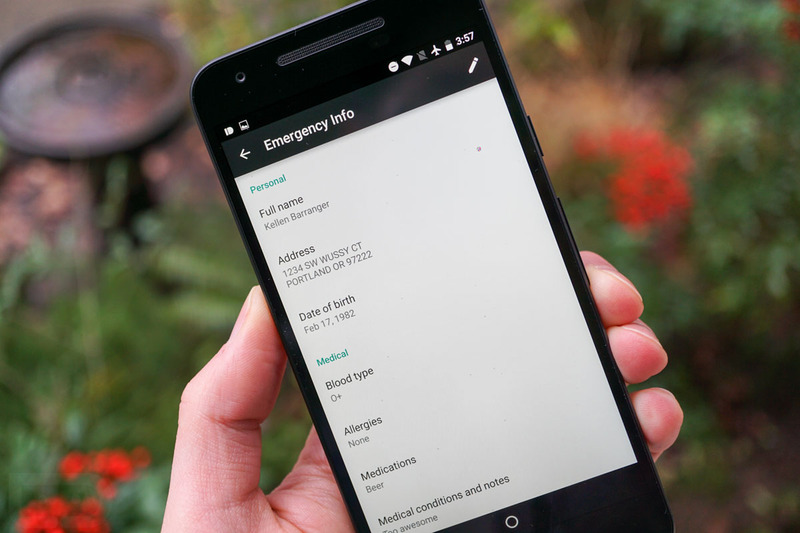 To access the new Emergency Info screen, you’ll find a shortcut to it by accessing the “Users” section in your phone or tablet’s main settings menu. 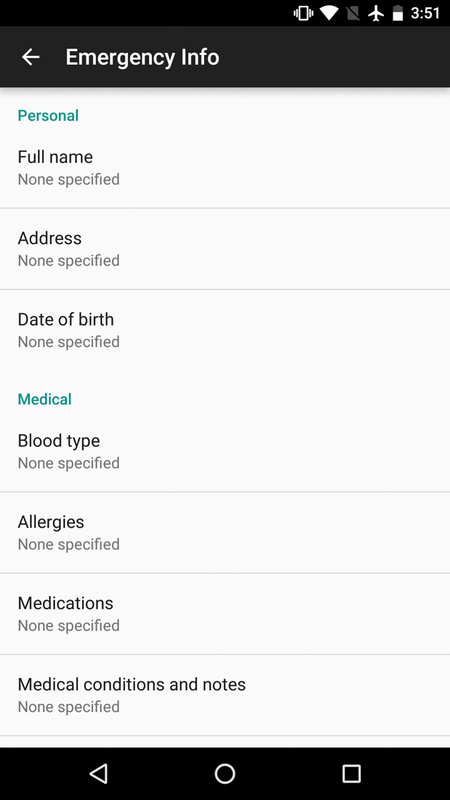 Once you tap on it, you’ll be taken to a form that allows you to specify name, address, date of birth, blood type, any known allergies you may have, what medications you are on, medical conditions someone should know about, and if you are an organ donor. 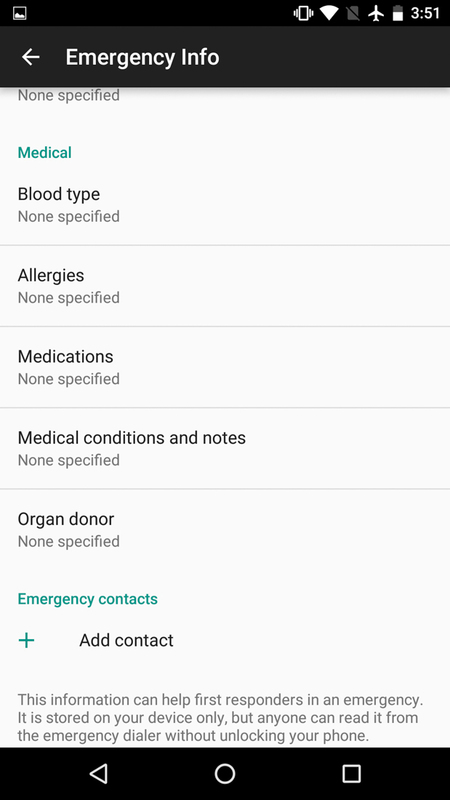 You can also specify emergency contacts that someone could call from the emergency calls screen. This panel only reveals itself should you have a secure lock screen, which makes sense, since then someone couldn’t just open up your phone to find out info about you. 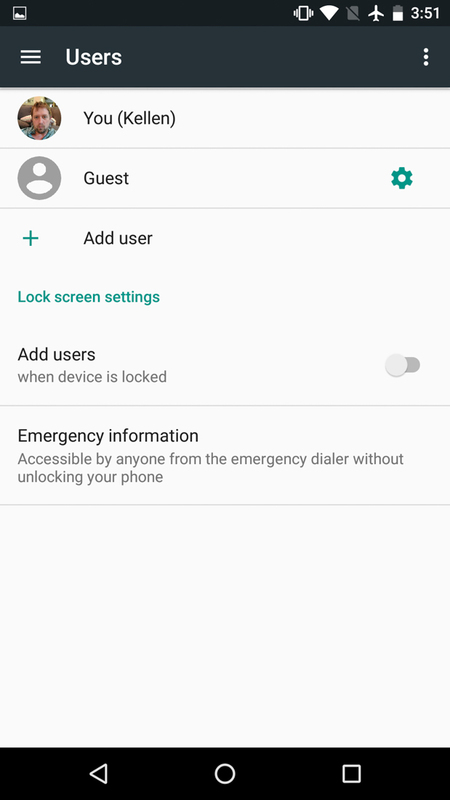 But if you do have a secure lock in place and you access the emergency dialer, you’ll see a panel at the top that can be tapped twice to show your emergency info. 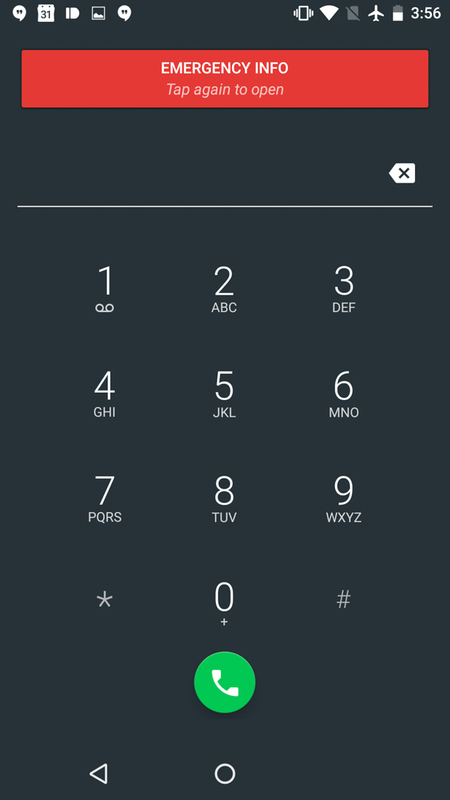 Below, you can see how it shows and what the call screen looks like if you try and call a contact. 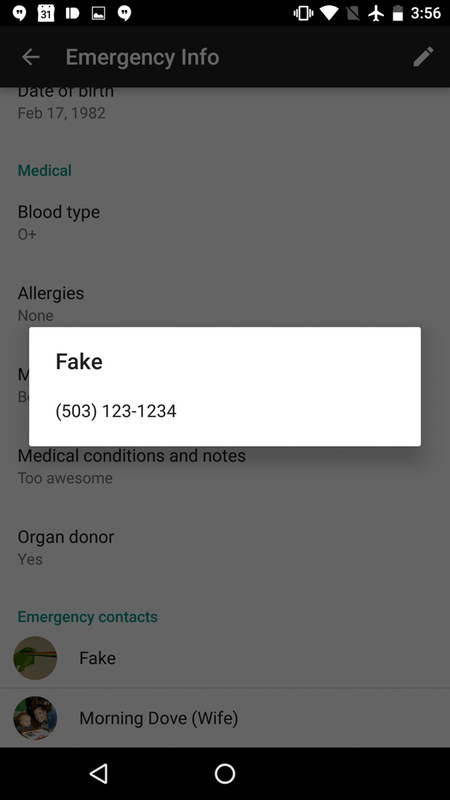 Talk about an extremely helpful addition to Android. 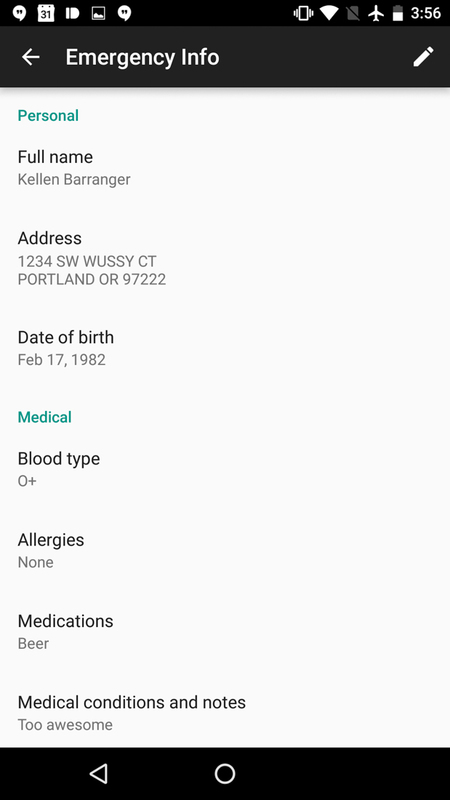 I was actually recently thinking about this subject for some reason and couldn’t figure out a way that should something happen to me, if anyone would be able to get into my phone to contact my wife or brother. With this added to Android N, that certainly solves that problem. Here’s to hoping none of us ever needs someone to use it.